The typical child custody arrangement involves joint legal custody, with one parent holding primary physical custody. This means that the child will live with one parent, but the other will still have the right to see him or her and share in important decisions about the child’s life. This kind of arrangement works well for many families, but not all. Sometimes a parent is granted sole custody, meaning that not only will the child live with him or her, but he or she will have final say in all important decisions concerning the child. The other parent may have visitation rights, but will have little or no say in his child’s education, medical care, or other life decisions. If you are trying to obtain sole or joint custody of your child, a Raleigh child custody attorney can be a great asset in your legal struggle. 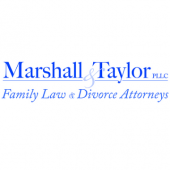 Contact the Marshall & Taylor Law Firm, P.C., at 919-833-1040. When is Sole Custody Granted? The other parent is not interested in joint custody. The other parent has a history of violent or negligent behavior. The other parent has problems with substance abuse or other mental health concerns. When there is concern for the child’s safety in the presence of the non-custodial parent, the court may order that visitation with that parent must be supervised by a neutral third party. If you are worried about your spouse’s treatment of your child, or if your spouse is trying to deny your custody rights, you need the services of a Raleigh child custody attorney. The experienced Raleigh sole child custody lawyers of the Marshall & Taylor Law Firm, P.C., are dedicated to protecting your rights as a parent. Contact us at 919-833-1040 to schedule a consultation today.